007 Means Business Despite Muted Color Scheme – Agents of C.O.O.L. Hey, did you know there’s a new James Bond movie coming out later this year? 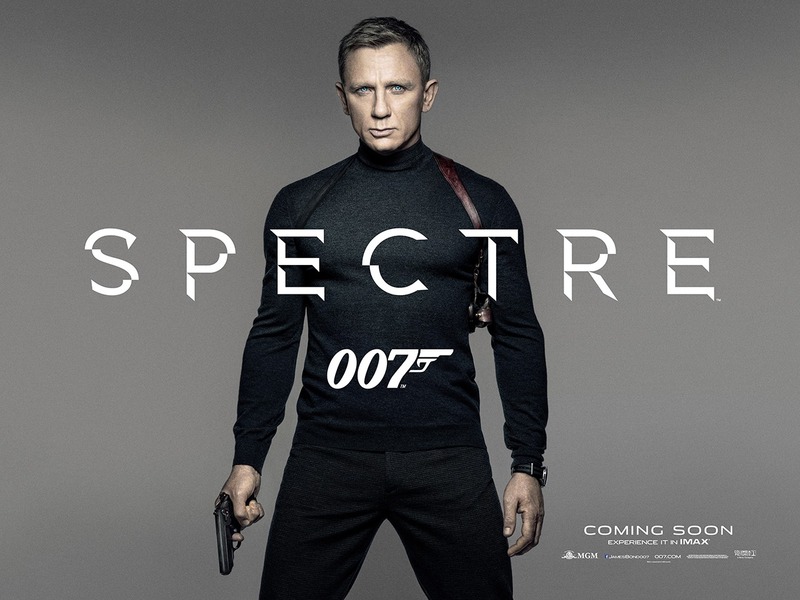 Here’s the poster to prove it, a teaser for the upcoming SPECTRE. The title alone brings a retro feel with it. SPECTRE is of course the evil organization battled by Sean Connery’s version of 007 in the halcyon days of the 1960s. Legal troubles prevented the Bond filmmakers from using the group in the series since, but those have been cleared up, and the classic villains are poised to come roaring back for a new century. I really like the poster, incidentally. Simple design, muted colors, all business. 007 is back and God and the Queen help you if you’re the villain. The clothes harken back to Roger Moore, by the way. The black turtleneck and shoulder rig are featured in Live and Let Die. Is this an indication that director Sam Mendes is looking to all eras of Bond for inspiration for the new film? Time will tell, when this 24th Bond film is released in the U.S. on November 6th, 2015.